This site is located right on the shore of Lake Challenge. It is laid out in 3 clusters of 4 four-person stents, each cluster having its own dining shelter and table. 2 two-person leader stents and leader shelter in the center of camp. Each adirondack has a covered area and table. There are also several flat areas to pitch tents. Has a dining shelter with table and fire pit with benches. Each adirondack has a covered area and table. Has two dining shelters with tables and fire pit with benches. Each adirondack has a covered area with a table. There are also some flat areas for pitching tents. 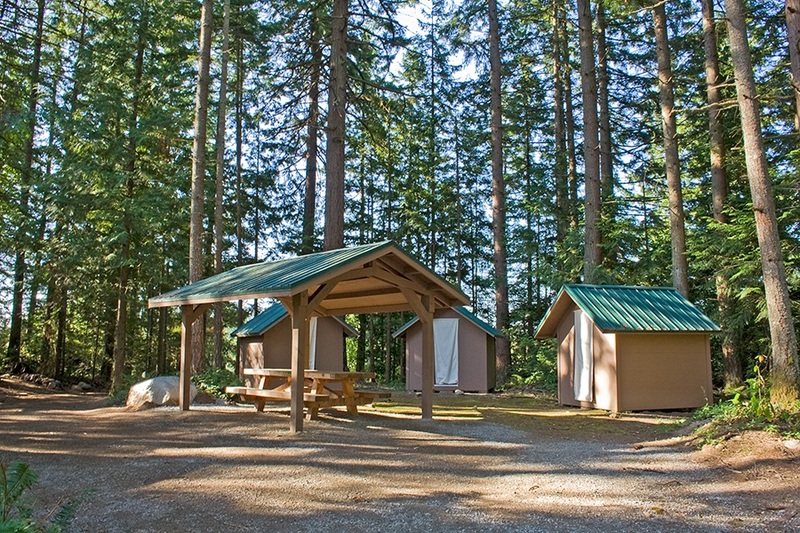 This site is located right on the shore of Lake Challenge and has a large covered area with three dining tables. The site is in a wooded setting near a creek and shower house. It is laid out in 3 clusters of 3 four-person stents, each cluster having its own covered shelter with table. This site is located right on the shore of Lake Challenge. It includes a large covered area with five dining tables. Stents are placed in 4 clusters of 3. Each cluster has a dining shelter and table. The 2 leader stents are located away from the clusters. 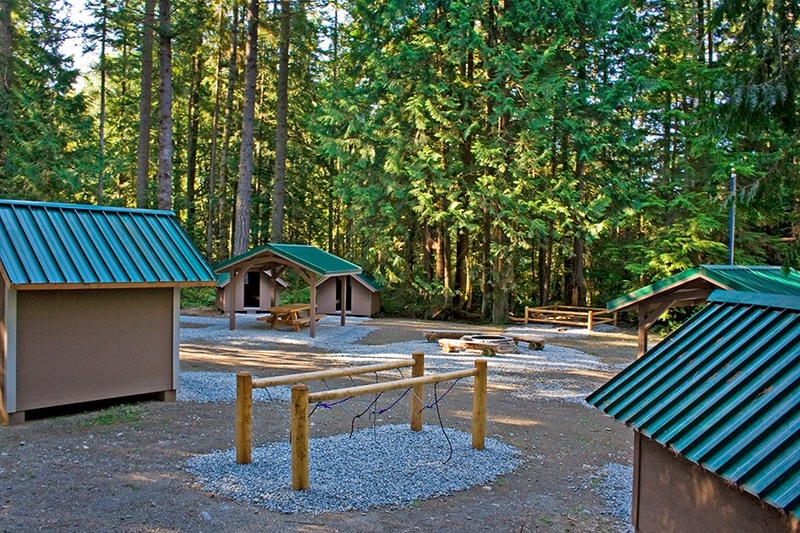 Click on the campsites for additional details and pictures. 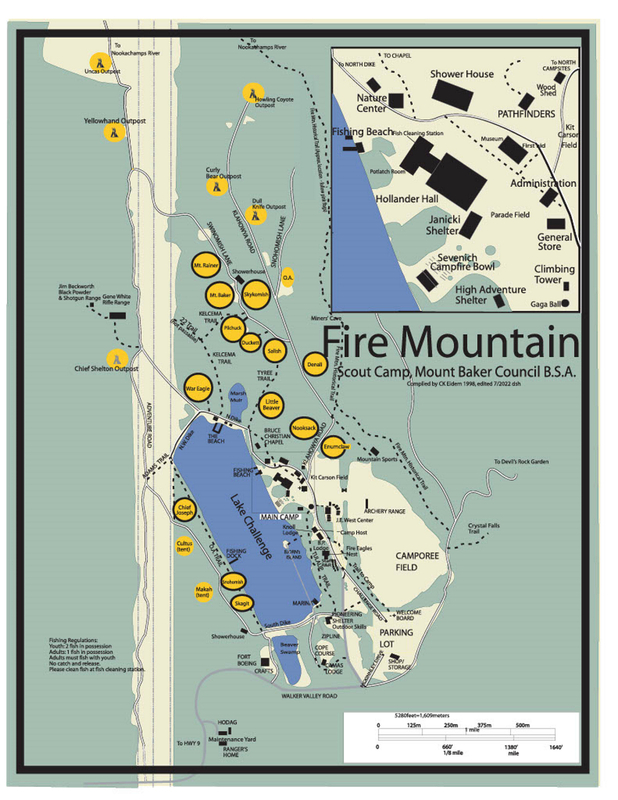 This site is produced by the Fire Mountain Staff Alumni Association in cooperation with the Mount Baker Council, Boy Scouts of America. The Fire Mountain Staff Alumni Association is a registered 501(c)(3) (EIN: 43-1964186) created to improve and support Fire Mountain.